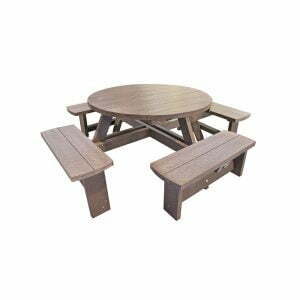 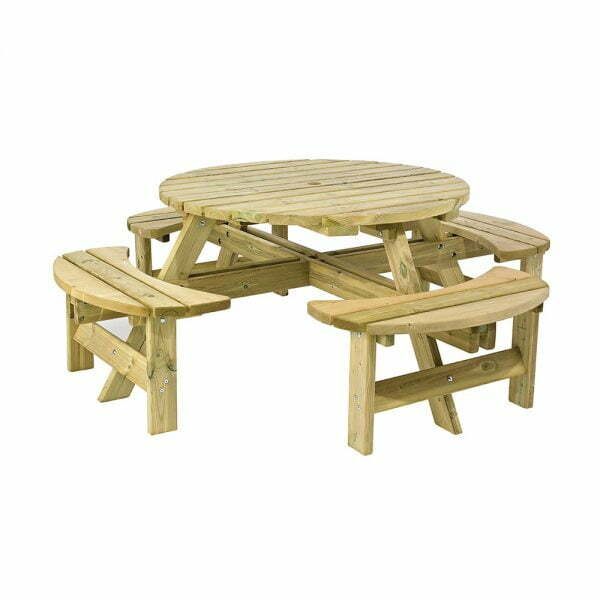 This stunning yet practical, round picnic bench is suitable to seat up to eight adults comfortably. This bench is the perfect addition to any outdoor space. This furniture product is made from timber from sustainable and renewable sources and has been pressure treated to extend the life expectancy for over ten years. 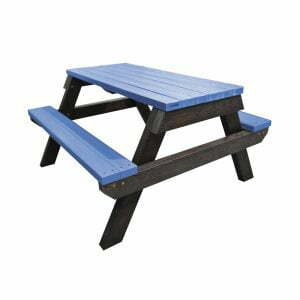 This product requires self-assembly but does come with simple instructions for DIY construction. 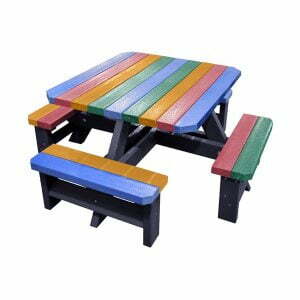 Looking for something a little different, then our Big Bench with recycled plastic could be just what you desire! 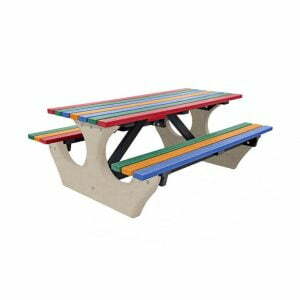 The Anchor Fast Big Bench, has a secure concrete base and a recycled plastic top and seats in a choice of six colours – blue, brown, green, yellow, red or multi coloured. Perfectly placed in any outdoor setting as its weather proof, safe and durable. 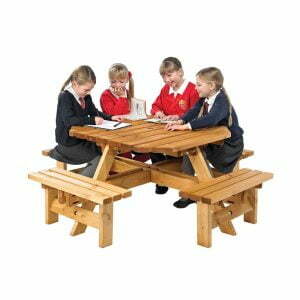 The Big Bench can seat up to 8 people and requires minimal maintenance as it won’t split, crack or rot.